Rake races often reward high-stakes players and show no love for players who play tons of poker but at lower stakes. 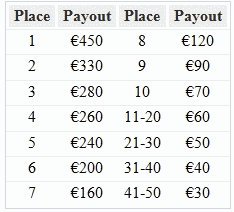 The Paradise Poker €40,000 Raked Hands Races are finally an opportunity for high-volume low stakes players to claim some serious cash for their efforts. 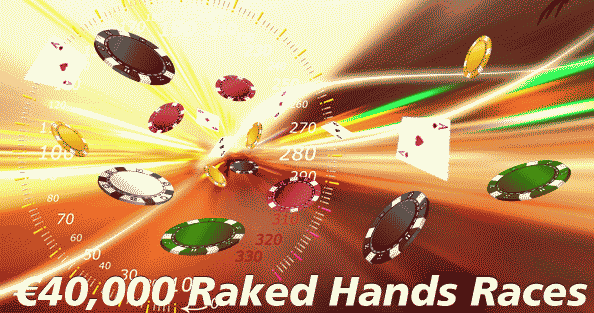 Raked NLHE and PLO hands are the only ones that count towards your total. Open a Paradise Poker account today to receive 30% rakeback and a 200% sign up bonus of up to €1,000 when you use the bonus code START1000.